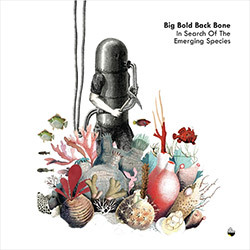 Swiss musicians Marco Von Orelli (trumpet, slide trumpet) and Sheldon Suter (prepared drums) and by their Portuguese partners, Luis Lopes (electric guitar) and Travassos (electronics) release a new chapter in their project Big Bold Back Bone, all players embracing a unique electro-acoustic improvisation through transformation of their instruments. 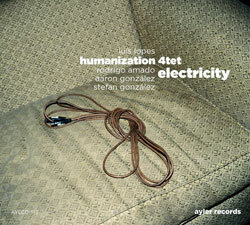 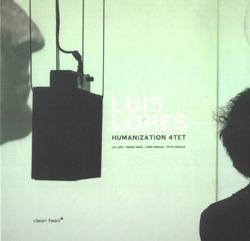 Swiss musicians, trumpeter Marco Von Orelli and drummer Sheldon Suter and their Portuguese partners, guitarist Luis Lopes and electronics artist Travassos, in an album of unconventional collective improvisation using extended techniques in a large work of evolving, subtle interactions, magnifying sound and gesture in an engrossing sonic environment. 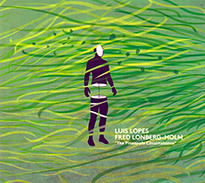 Portuguese electric guitarist Luis Lopes met Chicago free improvising cellist and electronic artist Fred Lonberg-Holm in the studio in Lisbon to record these five improvisations, both using innovative approaches to effect processing to expand their sound into unusual sonic environments, balancing beauty and abrasive sound. 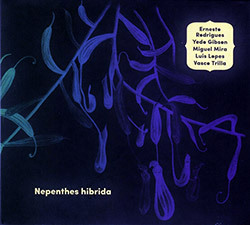 A dark and gritty album of experimental improvisation from the Portuguese trio of Jose Bruno Parrinha on reeds, Luis Lopes on electric guitar, and Ricard Jacinto on cello and electronics, dense yet restrained playing that occasionally emerges to moments of beauty. 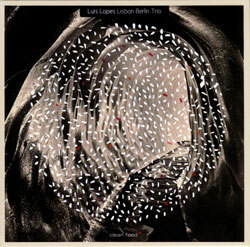 Portugese electric guitarist Luis Lopes with his Berlin Trio of Robert Landfermann on double bass and Christin Lillinger that balances dark tonal work with kicking free improvisation, somewhere between ea-improv and free jazz, a mysterious and absorbing release. 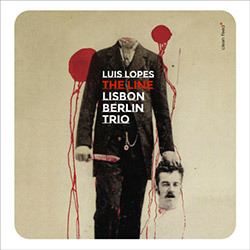 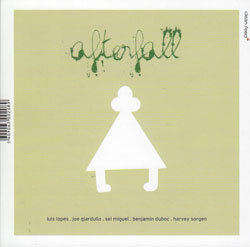 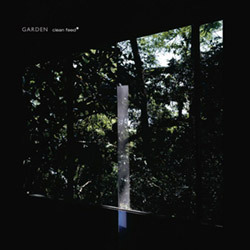 Genre-crossing improvisation with a jazz basis and far-reaching influences from guitarist Luis Lopez and his Berlin Trio of bassist Robert Landfermann and drummer Christian Lillinger. 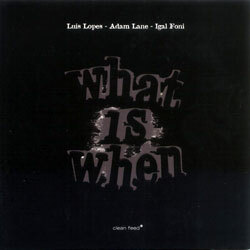 Portuguese guitarist Luis Lopes with NY bassist Adam Lane and Israeli drummer Igal Fonis, emotional, raw music, with lots of feedback and distortion and astonishing solos!